Facial lines are caused primarily by repeated use of facial muscles on the skin in a particular manner. Just as a freshly ironed shirt will become severely creased at the elbow as a result of repeatedly bending the arm , similarly our facial lines and wrinkles form whenever we frown, smile or squint. With passing of time these lines become deeper and permanent making you look older. The treatment is simple and involves placing a tiny amount of Botox to specific superficial muscles, which relaxes them and softens the expression lines to leave the skin smooth, refreshed and younger looking. Botox must be administered by a licensed medical professional. However, there is no distinction as to the professional’s area of medical specialty. This means that doctors or nurses without extensive training in facial anatomy may attend a certification course for as little as one weekend before beginning to offer Botox injections to patients. Yet, Botox and other facial relaxers and fillers must be approached with a delicate and experienced hand in order to keep results fresh and natural. Dr. Bowermaster is the largest Botox provider in the eastern part of central Ohio. Having over 19 years Botox experience and having administered over 25,000 Botox injections, he is by far the most experienced and sought after injector in central Ohio. If you are concerned about looking frozen or fake following Botox, potential side effects, or the overall efficacy and safety of your treatment, some research regarding your provider’s expertise is necessary. Doctors with the greatest training and understanding of all facial muscles are desired. Maxillofacial surgeons, dermatologists and plastic surgeons are the best trained to give Botox. Keep in mind that doctors add varying amounts of liquid to the Botox crystalline to make it injectable, so find out how concentrated their doses are. Ask if you get a discount for referring other people or coming in with a friend or spouse. Don’t always choose the cheapest fee. Balance it against your gut feeling of the doctor, their staff and the facility. Botox is the trade name for Botulinum toxin, which is a natural purified protein. Botulinum toxin blocks impulses from the nerve to specific tiny facial muscles that create expression lines and relaxes them. 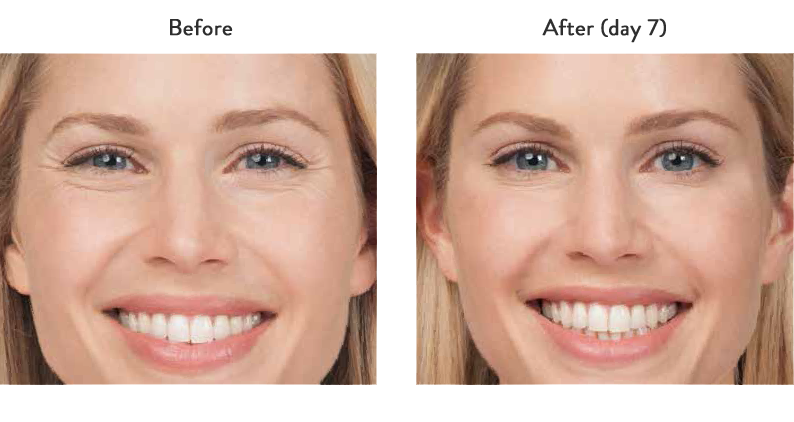 After treatment, the lines and wrinkles become smoother and the untreated facial muscles contract in a normal manner. What are other names for Botulinum toxin? It is ideal to treat wrinkles caused by facial muscles. Examples include deep crease between the eyebrows (frown lines), crow’s feet wrinkles & forehead lines. Injecting these lines has been shown to be very successful, and thousands of people have had Botox to reduce the signs of ageing. Immediately after the injections, there may be tiny red marks and mild swelling, which can be concealed with mineral make-up applied at the clinic. These will subside within 1-2 days. Botulinum toxin is injected using a very fine needle. Most patients find the injection causes mild temporary discomfort but is easily tolerated. A local anesthetic cream is used to numb the area. Botox is safe in expert hands and side effects of this treatment are rare. Occasionally a transient numbness may develop in the treated area. Sometimes a mild headache or temporary bruising may occur. If you are pregnant or breast feeding the treatment is not recommended. Repeat treatments are usually needed every 3-5 months over a 12 month period, to maintain a younger, refreshed appearance. Who is qualified to administer Botox treatments? Botox is a prescription only medicine, and can only be prescribed by a doctor. Only medically qualified practitioners (plastic surgeons, doctors, dermatologists, maxillofacial surgeons) are qualified to inject Botox. Please remember: Choose a practitioner who has extensive experience of performing treatments by injection, especially Botox. This will determine the result and aftercare of your treatment.